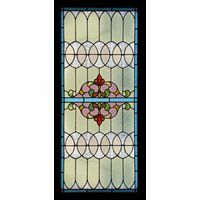 A blue and red frame with a floral type design borders this stained glass window panel from Stained Glass Inc. The light, geometric pattern that occupies the main body of this panel features a little star pattern. 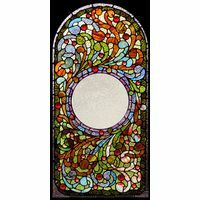 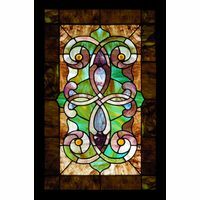 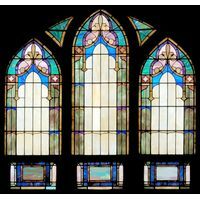 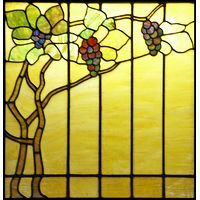 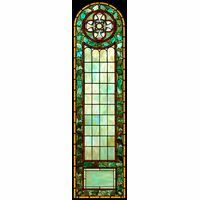 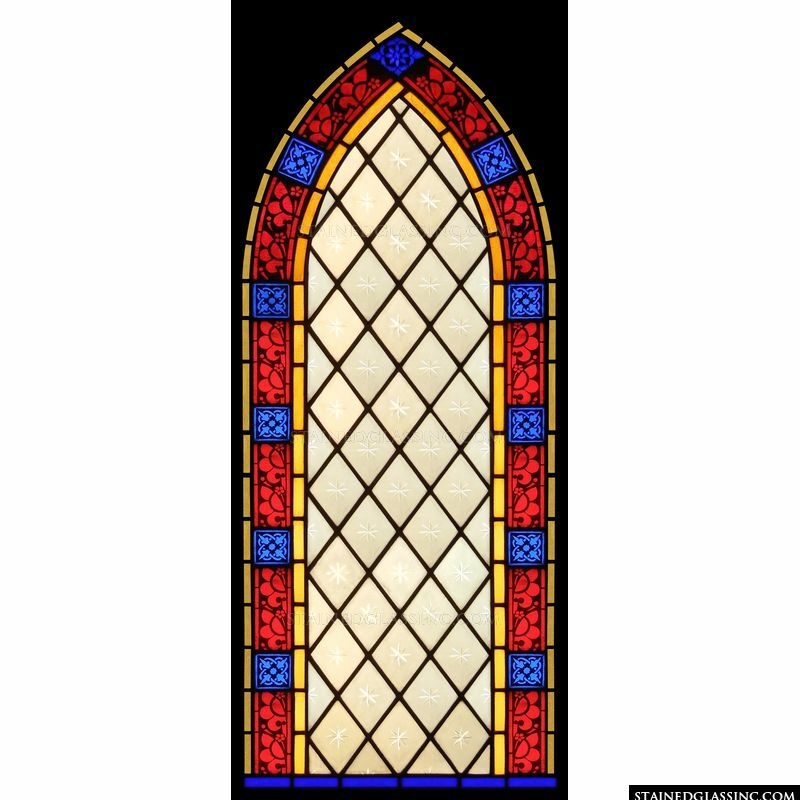 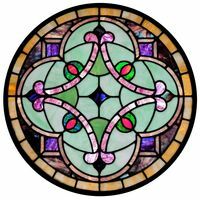 Display this stained glass art in your home, office, church or business and brig beauty to your decor.